Taking its name from the passage in St Luke’s gospel when two travelers on the road to Emmaus were joined by a stranger who later revealed himself to be the risen Christ, Emaus is an Easter Monday tradition that appears to date back to the 12th century. In the morning you can attend Mass at the St Salwator’s Church in Zwierzyniec and then wend your way down the length of ul. Kosciuszki where stalls selling food, sweets, souvenirs and traditional toys are set up. 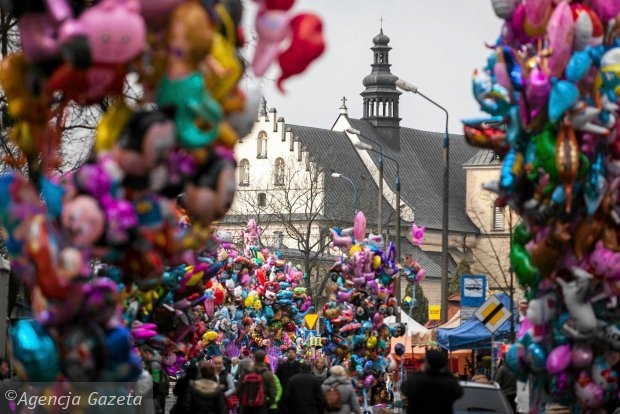 Be warned that Easter Monday is otherwise known as Wet Monday in Poland, and youths with buckets of water lurk in order to drench the unwary.